Amy is the Founder of SavvySexySocial.com where she helps brands develop and execute their social media marketing strategy. Her specialty is all things video and using this medium to grow your business. There are so many online options to choose from to represent your brand. Too many actually! But one thing is for sure in 2015: if multimedia is not part of your strategy, you will quickly fall behind your competitors. But how can you use it for your business? Especially when you are competing with some of the best cat videos in the world, (Ha!). 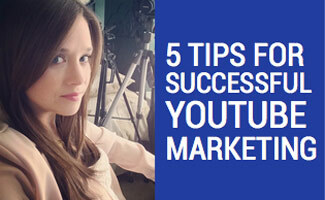 Here are a few steps to consider when starting your YouTube marketing strategy..